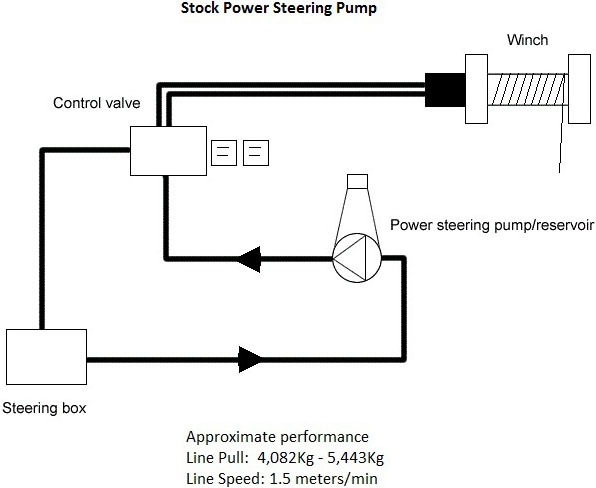 Stage 1 - Power Steering Pump System. 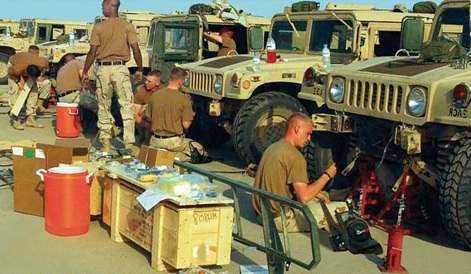 This is by far the most common setup, after 2.5 years of testing by the US Military this is the setup they opted for. 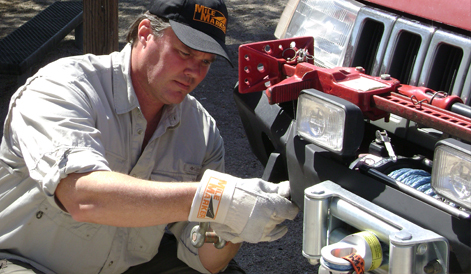 If you are preparing a vehicle for an expedition reliability is everything, a failure in the Kruger National Park can be sorted by calling out the AA. The same failure in the middle of the bush could, in the worst case mean death. The Stage 1 system is not fast, with a no-load line speed of 1.5 meters a minute and a loaded speed of around 1/6th of that which is indeed slow. 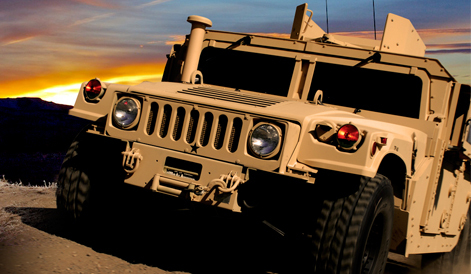 However, in a typical recovery scenario, this means only a few extra minutes of your time, which is no big deal when you consider the considerable reliability advantage. 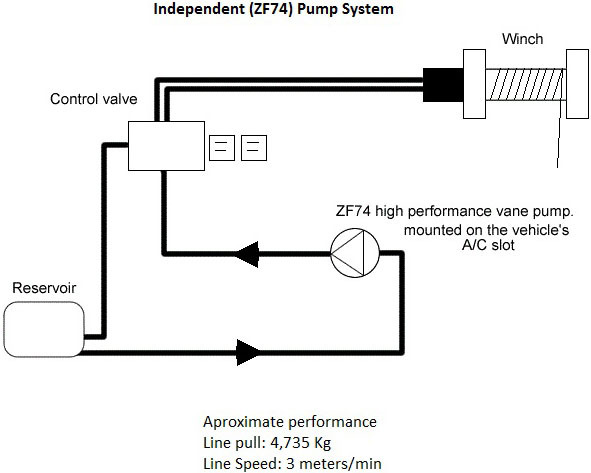 Plus you can run your Air-con, lights, wipers, heaters, etc. 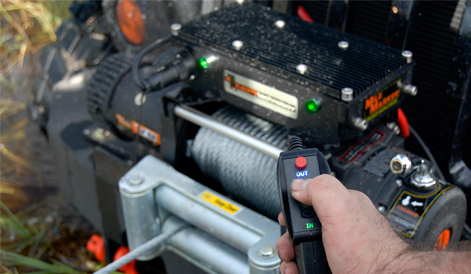 while you are winching. 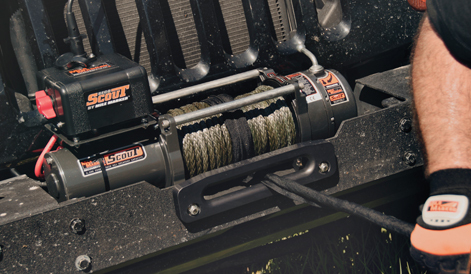 A battery powered winch, has a very unpredictable reliability record, many people, who have gone to the trouble of fitting extra batteries and bigger alternators find they do a good job often for years, others cook the winch, or damage the vehicle's electrics during the first few minutes of use. What you have to ask yourself is can you take that chance? 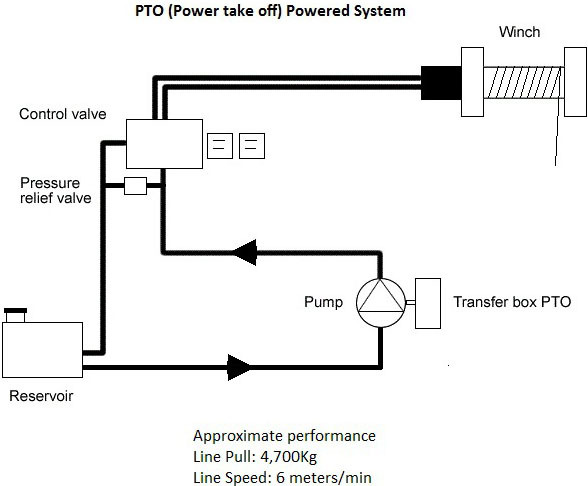 Stage 3 - PTO Pump Powered System.